The Pirates ride is an immersive experience from the queue to the gift shop after the ride. There are so many reasons that I love this ride. One is that being a family of 5, this ride allows us all to sit on the same “boat” so that we can all enjoy the ride together. This ride has a little bit of fun for all ages. There is a small drop that is fun and exciting, probably because it is in the dark, there are many scenes that tell stories, there is a pirate that appears in the “Mist”, a cannonball fight where you might get splashed, and much more. The queue is my favorite in all of Walt Disney World! You are transported into a Spanish Fortress. There you will wind through a dark, cool, underground cavern that will lead you to board a boat for a Pirate adventure. The details are amazing and there is nowhere better to wait on a hot day than the coolness of the caverns. When the ride is finished you will exit through the gift shop. I love this gift shop! You can find all kinds of souvenirs here, from Pirate relics, to Pirate t-shirts that you will just have to have. Every trip each one of our family gets to choose one souvenir and I like to use my pick here. The other cool thing about the gift shop is that connected to it is the location of The Pirate League, where your child can be “transformed” into a Pirate. Pirate League is to Pirates, what Bibbity Bobbity Boutique is to Princesses. On your next trip to Walt Disney World, make sure to enjoy the attraction Pirates of the Caribbean! 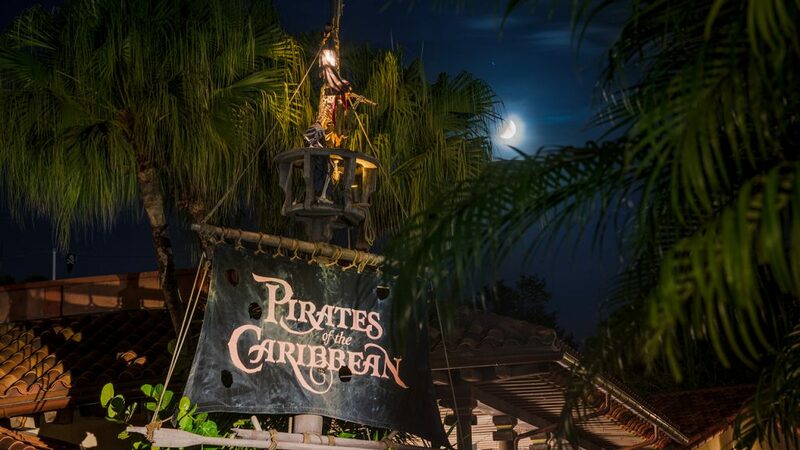 Take your time and notice all of the details that make it so special, and if you have time enjoy the interactive live show with Captain Jack Sparrow that is located across from the entrance to Pirates of the Caribbean!